When you do not have enough red blood cells or when your red blood cells do not function properly you have a problem, which is me. Anemia is my name, most people can experience symptoms of me when a young child and other can experience me at whatever point of their life. I can occur in recent blood loss. My main cause and issue that affects people are that I lack the process of producing red blood cells. Your body produces blood cells, one being white blood cells which fight infection. Another is red blood cells carry oxygen throughout the body. 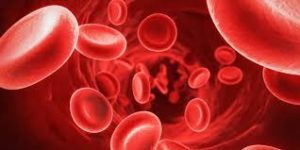 Red blood cells contain hemoglobin an iron protein that makes your blood red. My main cause is recent blood loss, trauma, surgery, and other events play a huge role in the diagnostics of me. If enough blood is lost, your body may lose red blood cells and the chance to reproduce them. I can be either acquired or inherited. acquired meaning you can develop me, inherited meaning that your parents passed the gene on to you. many effects that I have on my hosts body include general weakness, pale skin, shortness of breath, dizziness, wired cravings (to eat not food items), such as dirt, ice, or clay, tongue swelling, cold hands and feet, fast heartbeat, headaches and many different occurring situations depending on the severity of my mutation. I affect lots of aspects of daily life, one including stunted growth. My host inherited anemia, as a child she was always shorter and smaller than the other kids. She has to stay on a strict diet. Some of the food in her daily diet include; apricots, asparagus, bananas, broccoli, egg yolks, plums, prunes, raisins, squash, turnip greens, whole grains, and other dark green vegetables. My host plays soccer, a symptom of anemia is shortness of breath, she often has to sit on the side and regain a strong breath before she can continue. Another problem my hosts faces of her pale skin, she looks sick and tired all the time, she often gets made fun of. People call her names like a ghost and other hurtful things. She doesn’t let that get in the way of her difference, she knows she can’t change it and continues on it life with a positive outlook. The treat meant of minor anemia is fairly simple, in most cases, people will have to make a change in diet, take supplements, and different types of medicine. 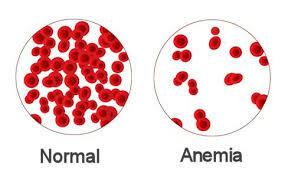 In other cases where anemia is severe procedures like blood transfusions or blood marrow stem cell transplant. In order to complete a story about anemia, I really had to make sure I had a great understanding of what the disease was and its effects. Some questions I had to look up were; what are the symptoms of anemia, what is anemia, does anemia impact the quality of life, are there different severities of the disease, and how does anemia occur. To create this project I used a few digital tools including google, Wikipedia https://en.wikipedia.org/wiki/Anemia, Health Link BC https://www.healthlinkbc.ca/health-topics/abq1897, and medicine.net http://www.medicinenet.com/anemia/article.htm. The process of investigating the topic was a bit challenging for me because it was hard to understand the mutation and how it was caused. After further researching Ibelive that I have a pretty good incite on this mutation. The process of completing this project was fun writing the story and pretending to be the mutation inside someones body. One thing that I could have done better into add more detail into what I’m talking about and to research a lot more that way I have more knowledge to add to detail.